Rockets will always add an extra touch of drama to any display, whether it is a family gathering in the garden or a larger organised event. 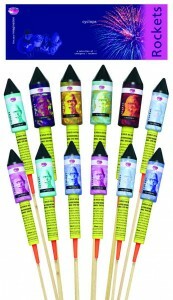 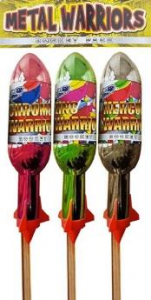 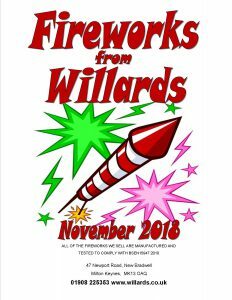 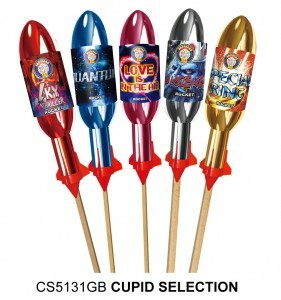 Garden rockets offer various effects from colour to starburst and noise and will reach 20 – 30 metres high. 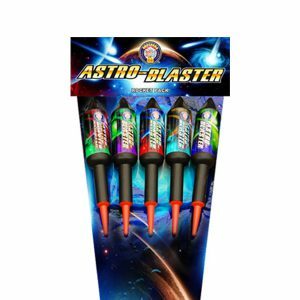 This really is a magnificent rocket – the ultimate sky filler, show starter, event stopper, crowd pleaser! 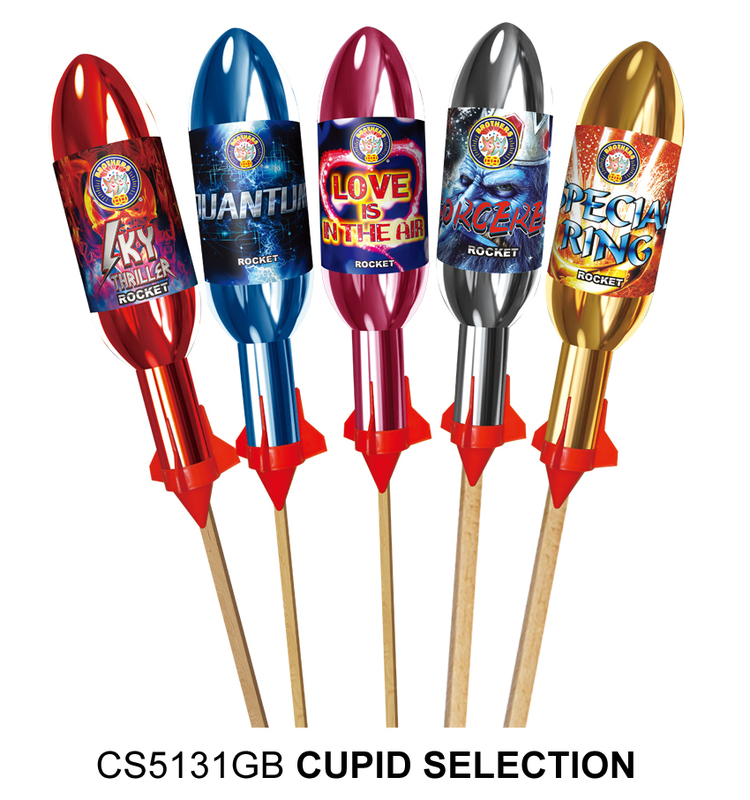 Also available in a pre-packed box of four – just ask us for 4-KING MARVELLOUS!